Couples and individuals come to the United States from all over the world to do egg donation and/or surrogacy. The Center for Surrogacy & Egg Donation has worked with parents from Europe, Asia, South America and Africa. Approximately 40% of our clients are located outside the United States. By partnering with Nichols, DeLilse & Lightholder, P.C., a leading law firm specializing in reproductive law, we are able to assist parents through the legal issues with doing egg donation and/or surrogacy in the U.S. and the impact on the citizenship and immigration issues in your home country. Why Choose the United States? Surrogacy and Egg Donation have been established in the United States for more than 30 years. World renowned Fertility Clinics with extensive experience working with international intended parents using surrogacy and/or egg donation. Egg donation in the United States offers Intended Parents a wide range of benefits. While egg donation is not legal in many countries, the laws in the U.S. on egg donation are very favorable and allow donors to be compensated for their time and effort in participating in the egg donation process. As a result, more women in the U.S. donate their eggs than in other areas of world. This means that international parents have more choices and are typically able to find a donor who matches with them more quickly. Egg donors in the U.S. go through extensive screening at the IVF clinic. The medical care in the U.S. is among the best in the world leading to better outcomes for Intended Parents. IVF success rates are often higher at clinics in the U.S. The laws in the U.S. are also more favorable to using an egg donor. In fact, in many states, the law is clear that the egg donor is not a parent and the Intended Parents are the only legal parents. An attorney from Nichols, DeLisle & Lightolder, P.C. will discuss all of the legal issues in the U.S. with you in detail. Having a child through surrogacy is a complex process from an emotional, medical and legal point of view. Coming from another country makes the process that much more complicated. In conjunction with our partner law firm, Nichols, DeLisle & Lightholder, P.C., we will assist you with finding an attorney in your home country who can help ensure that your child will be a citizen of your country and will meet all of the immigration requirements to allow you to bring the baby home. Nichols, DeLisle & Lightholder, P.C. 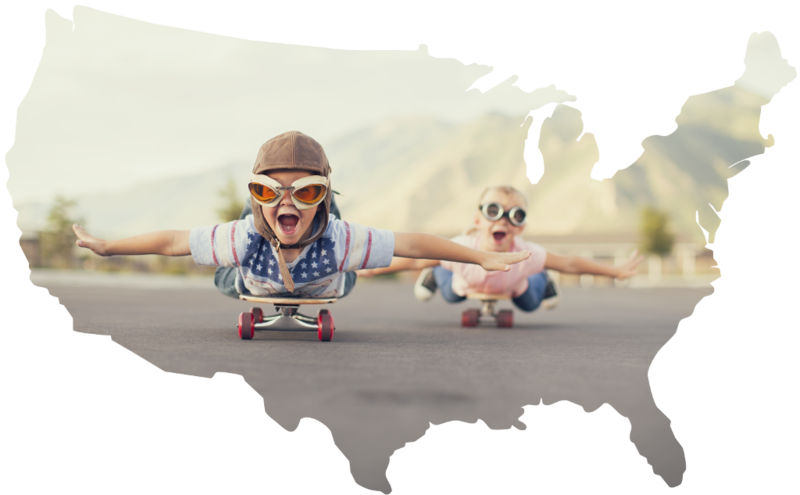 will oversee the legal issues on the U.S. side and help obtain an expedited birth certificate following the birth, arrange for your child to receive a U.S. Passport and any other legal issues that will need be addressed before you leave the U.S. In addition, we will make sure you understand the complex issues surrounding health insurance in the U.S. and the medical bills for the baby. We will discuss the various options to reduce the risk of significant medical costs for the baby while you are in the U.S. following the birth. The Center for Surrogacy & Egg Donation can also help you identify a fertility clinic that will be a good match for you, making travel arrangements for your donor and/or surrogate, and assisting you with your travel to the U.S. for the clinic screening, IVF Cycle and the birth. We can also help you to find an interpreter for you while in the U.S. if you need assistance communicating in English. Having a baby through surrogacy in the U.S. is a complex and daunting process. Let the Center for Surrogacy & Egg Donation help simplify that process and be your guide throughout the entire process from initial consult to returning home with your newborn! feel free click below, and fill out a short contact form.